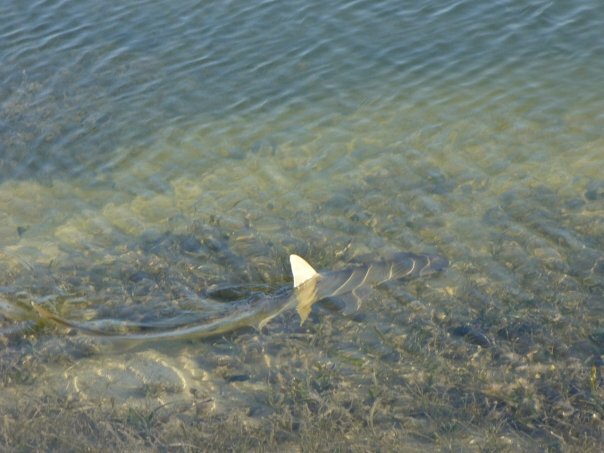 Recently, Andrew attempted to correct several commonly-held misconceptions about sharks. He raises some good points, but I disagree with his conclusions. I believe that sharks are incredible animals, but I think it is far more relevant that sharks are important animals. 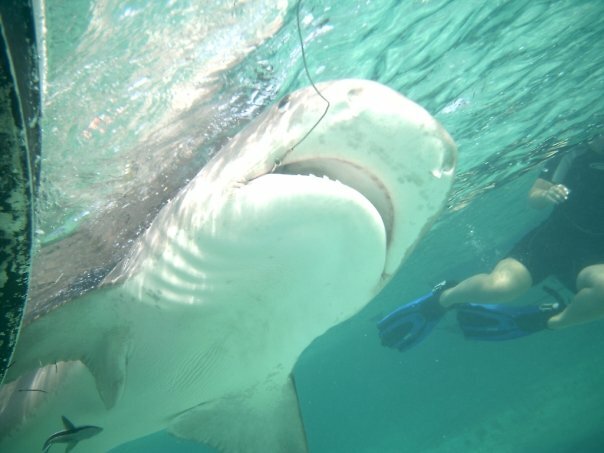 Most of Andrew’s concerns involve how the media and the general public think of sharks, and it is hard to disagree with the claim that these groups tend to lack an understanding of certain aspects of science. In general, though, I don’t think it’s a good plan to judge the validity of a movement by the depth of understanding of the rank-and-file members. Sharks are significant and interesting for reasons that have little to do with how well some people understand science. This is completely true, and reflects a fundamental (and alarmingly common) misunderstanding of how evolution works. The reason why shark conservationists bring up that sharks have been around for 400 million years has nothing to do with the mistaken belief that sharks are unchanged evolutionarily, however. While many shark species have gone extinct throughout time, species of sharks have survived every great mass extinction event that the planet has ever faced. This puts into perspective the magnitude of the destruction wrought by some modern commercial fishing practices. The fact that there were animals recognizable as sharks long before there were dinosaurs also has ethical significance. Environmentalists have used the argument “they were here first, they have a right to exist” for decades with reference to other animal species. Sharks were here before many of these species were. This is also true, but Andrew seems to be saying that the fact that the common ancestor of all vertebrates was an elasmobranch means that elasmobranchs are lame. I think it means they are, for lack of better words, pretty special. Some sharks, like makos and great whites, are actually very good at regulating heat. The larger point stands, though. Nothing is perfectly adapted to its environment, and the belief that sharks are “perfectly adapted” also reflects common misunderstandings of how evolution works. 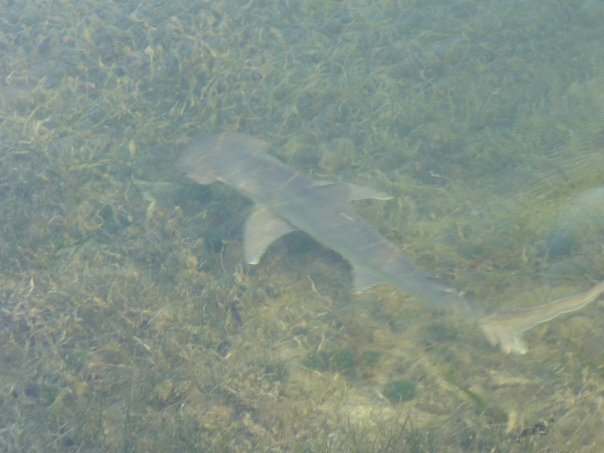 It is true that sharks have few young and reproduce relatively late in life, and this has enormous conservation significance. However, I don’t think its fair to claim that sharks are lame because they aren’t well adapted to conditions that have only been around for a few decades (modern commercial fishing practices). Their strategy has worked pretty well for the last few hundred million years- they’ve survived mass extinction events that led to the extinction of many whole classes (and even a few phyla) of animals. Very few animals are capable of adapting with the speed required to survive human expansion, so by Andrew’s definition of lame, most animals are lame. I would say it’s more true that “many” animals have a range of chemical cues that they can pick up on in low dilutions rather than “most” animals, but sure, having strong senses is far from unique to sharks. 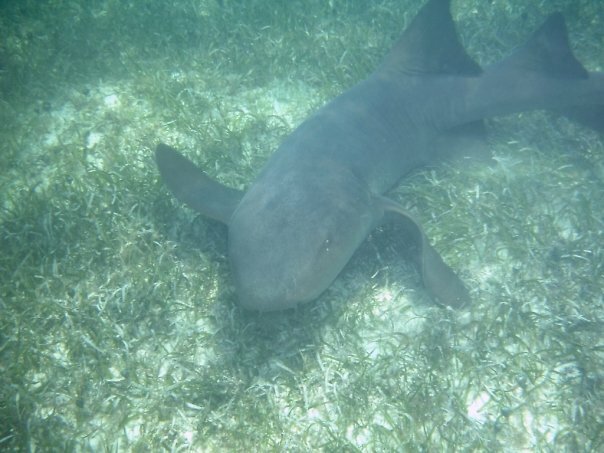 I still say that sharks’ senses are impressive- they can see better than we can in clear and in murky water, they can tell the difference between a wounded and a healthy fish by the pheromones that fish gives off and by the vibrations made by that fish moving, and they can even detect bioelectric fields. I’m impressed. Most of the people who hear about it are impressed. The fact that some other animals can do some of these things doesn’t make it less impressive. Just because other people have won a Nobel prize before doesn’t make it less impressive when people get a new one each year. Billionaire entrepreneur Steve Wynn’s primary philosophy is “doing the basics better” rather than trying to come up with brand new business ideas. Sharks don’t need any fancy newfangled adaptations, they get the job done pretty well with sharp teeth and speed. Many species of sharks are the apex predators of their ecosystem. A 9 foot tiger shark- "the basics" done pretty darn well. In summary, Andrew seems to be claiming that since many commonly-held beliefs about sharks are wrong, sharks are lame. I disagree. It is more relevant, however, that sharks are important than that they are cool. The fact that some people don’t understand evolution or chemosensory systems doesn’t change the fact that the loss of sharks results in serious ecological and economic problems.While sharks are in fact fascinating and not lame, this isn’t why we should care about them and protect them. We should care about sharks because they matter ecologically and economically. They are awesome. Magnificent animals that have just as much a right to be her on earth as we humans. Sharks are some of the most amazing animals ever to grace the Earth. Through all the time they’ve inhabited this planet they haven’t changed much, showing they are perfectly designed for their ocean habitats. They exist in every ocean on Earth and in each one plays its own role in that ecosystem. Sharks are AWESOME!!!!! I appreciate the support, but I would suggest reviewing Andrew’s original post. The whole “perfectly adapted to the oceans” thing is problematic. Straight to the point – Sharks are awesome and an important health index of our seas. 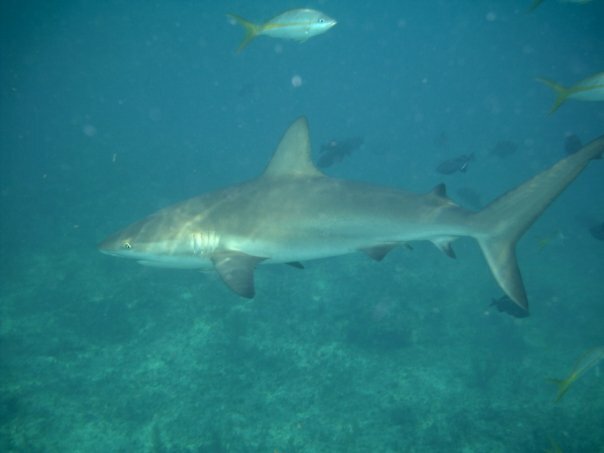 However, there are a few shark species that are docile but NOT LAME. THey are manificent animals that have survived the last 400 millions years. Their nature and role in our environment has yet been fully understood. Hmmm, so every argument I made is correct but I’m wrong because sharks are neat? Sounds like someone’s got a little chemosynthesis envy. Despite your classic approach of misrepresenting you opponent’s arguement, I never said sharks were “lame”, just lamer than almost everything else. Ditch the vertebrae dude, the spineless win everytime. And your 400 million claim is still just plain wrong. That’s not at all what I said- talk about misrepresenting your opponent’s argument! I said that some of your points are correct, but I disagree entirely with the conclusions that you draw from them. Sharks are neat, but that isn’t why people should care about them. What about your argument did I misrepresent? You claim that sharks are “sub par at best” because they can’t actually do things that some people mistakenly believe they can do. If that phrase hasn’t been used before, you need to copyright it right now because it’s awesome. Which implies that my conclusions are that A. sharks are not incredible (true) and B. sharks are not important, which I most clearly did not say. As always, check yourself before you wreck yourself. Claiming that sharks haven’t changed in 400 million years is factually wrong. I don’t do that, and I corrected a commenter in this thread who did. Claiming that there were animals recognizable as sharks swimming in oceans 400 million years ago is not wrong. You may dispute the significance all you want, and from a scientific standpoint it certainly doesn’t matter as much as other points (such as the ecological importance of sharks). However, there were animals recognizable as sharks swimming in oceans 400 million years ago. By that argument, you could say that every single major invertebrate group had a recognizable ancestor significantly more than 400 million years ago, therefore sharks are only more ancient than about 5% of animal life. Not really something to boast about. Yes you could, and if I were an invertebrate conservationist, I probably would. When you compare sharks to sponges, sure, sharks aren’t that old. When you compare sharks to some poster-children of the conservation movement like manatees, right whales, and spotted owls, sharks are much older. Again, I don’t think the fact that there were animals recognizable as sharks swimming in the ocean 400 million years ago is nearly as significant as their ecological importance. I stress the ecological importance and mention their ancient status in passing. You guys got nailed on the 100 million number a while back. I would think that you would want to avoid being misleading on this (or any) point. Especially since the other side of that 400 million year old branch – bony fish and tetrapods has been way more successful by any metric. You’re basically assuming that the more people know about sharks the less they’ll want to protect them, and I think we all agree that that false. But since sub-par means “below the mean” then we all agree that being in the bottom 5% of oldies-but-goodies is most definitely sub-par. Sharks are sub-optimal designs, evolutionary creepy uncles compared to their much more successful bony cousins that share that same 400 million year old common ancestor, not anything special chemosensory-wise, and fairly dull predators in regard to technique. All of that indicates that they are, without a doubt, sub-par, at best. You interpretted that as lameness, not me. And please don’t insinuate that I said anything about their importance. Plenty of uninteresting organisms are vital to ecosystem function. I apologize for saying “lame” instead of “sub-par at best”. They basically mean the same thing and one is much quicker to type. You definitely did not say that sharks are unimportant. However, you didn’t say that they are, and that’s the part that is most relevant. It doesn’t matter to me at all if people think sharks are cool or interesting. What matters to me is that people recognize that sharks are important ecologically, and that many species are in danger of extinction. I think sharks are interesting and cool, as do many other people, but that’s not why people should care about them and I have never claimed that it is. wow, move the goalposts much? SFS: Ducks are funny looking. WSM: No, ducks are ecologically important. SFS: Ummm, I didn’t say anything about ecosystem function. WSM: All discussion of ducks must be about their ecosystem function! I “moved the goalposts” because you put them in a strange place that I didn’t really care about. Part of my job is to convince the general public that sharks are ecologically important and therefore worthy of conservation. It doesn’t affect me at all if some people think sharks aren’t evolutionarily novel, so there was no real point in debating you much on that point. Your opinions are your own and if I’ve learned anything in years of friendship it’s that I can’t often change them. And yes, I say opinions. You stated some true facts (which I acknowledged as true in my post), but then stated opinions based on them. How am I supposed to argue with “eating seals is tacky” or “sharks are evolutionary creepy uncles”? Instead, I chose to say “I don’t care if you think sharks are tacky, what I care about is that people know they are important”. That’s great but my post had nothing to do with shark conservation but rather addressed some misrepresentations of science that are consistently committed by shark advocates. You choosing to characterize my responses as anti-conservation is misleading and dishonest. Good conservation is scientifically literate. Bad conservation picks and chooses whatever facts are convenient. Your post wasn’t anti-conservation and I didn’t attempt to characterize it as such. I apologize for the poorly-written sentence that was ambiguous on that point. If I say that sharks’ ecological importance matters more to me than the points you raised, I don’t believe it implies that your points are anti-conservation, but I again apologize for the ambiguous sentence earlier. Your post highlighted some incorrect facts about sharks that are commonly repeated, but I don’t think they are consistently repeated by shark advocates- at least not any I’ve seen. I’ve seen them in children’s books about sharks. I’ve seen them on shark week. I haven’t seen them mentioned by shark scientists terribly often. This is nitpicky, but I did not say “sharks are perfect products of evolution”, I said “you often hear” that they are, which is true. I should have been more clear on that point and I will in the future. I apologize for any confusion. I then explained the actual science behind shark’s senses. I didn’t say that sharks can smell a drop of blood from a mile away, I mentioned the low concentrations that sharks can detect. Normally when I see the “sharks can smell a drop of blood a mile away” line, it’s in the context of the media reporting on a shark attack or a Shark Week documentary attempting to capitalize on people’s fear of sharks. I don’t see conservationists bringing it up. I agree with this completely. However, once again, it’s not usually shark conservation advocates who are bringing up the points you raise. But you see, “sharks are sub-par at best” didn’t address Dave Shiffman’s misconceptions about sharks, but common misconception about sharks, of which you admit the “perfect predator” or “wonder of evolution” line is repeated ad nauseum. Both of which get repeated by the commenters all the time. And come on dude, find me a major shark conservation documentary that doesn’t repeat at least one of those. Hell, Sharkwater hit all four. There are other animals that have as strong (or in rare cases stronger) sensory suites as sharks. If they were threatened as a species, I would bring up their sensory abilities in public education talks, too, to show people that the animal being threatened is cool and interesting. I think that most people who watch a several thousand pound great white shark breach out of the water with a seal in its mouth would say that this hunting technique is far from dull, even though they don’t use poison. Classics never go out of style, and their technique works. Eating seals is ecologically important. I know that answer is going to make you throw your computer against the wall, which is partially why I wrote it, but also, it’s true. Few animals are big enough to prey upon seals and control their populations. I’m with Dave on this one. All most sharks have needed to hit the top of the food web is a pair of jaws, a body and fins to move it around, and brain to tell it where to go. Gotta appreciate the simplicity. Also, seals are punks. Someone’s got to put them in their place, and I don’t see any inverts getting it done. I really appreciate seeing the depth of research and knowledge that both sides have on studies of sharks. But please don’t let the argument get in the way of shark conservation. I can see that both sides are seeking to win in this information-battle of how-many-facts-i-know-about-sharks… I am greatly humbled in this regard, but I truly believe that it’s a tremendous loss to all of us if sharks cease to exist on this planet because of human judgment. So what if sharks are not cool? Worms are totally uncool if it’s based on Southern Fried Scientist’s definition of “cool”, but guess what, human cannot exist without worms; how cool is that? You’ve clearly never met a bone-eating osedax that metabolizes lipids from sunken whale bones and uses the energy to feed the dwarf male harem she stores in her abdomen. I think this one blows Andrew right outa the ocean. I agree, sharks are awesome and matter for all of the above! I am writing to let all of you shark supporters know that there is a bill that is being considered in the Hawaii State Legislature that could prohibit shark finning in the state of Hawaii. SUPER IMPORTANT FOR SHARK CONSERVATION! It has the potential to be the strongest measure in the United States to support shark conservation. It has moved through multiple readings and another important one is coming up on Monday March 15. If you have a few minutes your short written testimony in the form of an email will greatly help this cause. All you need to do is state a sentence or two on why shark conservation is important or shark finning is reprehensible. For those not up on the subject sharks are being decimated at an unprecedented rate. Approximately one hundred million sharks are killed each year in large part due to the inhumane practice of shark finning. The consequences of an apex predators extinction in the ocean environment will have not only extreme impacts on the ocean, but also the human population. Please help conserve the earth’s oceans. Who are we to decide whether sharks matter? The very fact that they have been on earth for millions of years says that they must play an integral part in earth’s life cycle. If there is a species that is lame, it is human species. We are the only creature that pollutes its environment. That’s pretty unevolved if you ask me. I moved this down here because it won’t let me reply to a reply to a reply. The analogy to the 100 million “sub debacle” (to use your excellent phrase for it) is invalid and unfair. In that case, scientists said one thing, some conservationists altered it in a way that wasn’t really based on science, and the new number got repeated so often that it stuck. In this case, we are saying something completely true and you are saying that it is true but isn’t that impressive and doesn’t matter. You are comparing apples to oranges. Once again, I’m not telling people anything that isn’t demonstrably true, and I’m not hiding information from anyone. You can dispute the significance of animals recognizable as sharks swimming in oceans 400 million years ago all you want- which is part of why it’s brought up as a minor point compared to sharks ecological importance. No one is saying “we should save sharks only because things recognizable as sharks swimming in oceans 400 million years ago”. We are educating people about sharks and focusing primarily on their ecological importance, we just mention in passing that there were animals recognizable as sharks swimming in oceans 400 million years ago. Par is a golf term and it’s relative. Shooting a five on one hole might be excellent for that hole, but terrible for another. It’s all based on what you compare it to. Likewise, whether or not you think it is impressive that there were animals recognizable as sharks swimming in oceans 400 million years ago its relative. Yes, they are relatively young for animals, and very young for multicellular life forms. However, they’re quite old compared to the animals that most people are familiar with. Par is the Latin word for equal. Sub-par is below equal, or beneath the fiftieth percentile. That’s like me saying that because you didn’t address Global Warming in this post, you must not believe in Global Warming. I should have said “that’s the part that’s most relevant to me”. I’m not saying that you don’t believe that sharks are ecologically important. I know that you do. I’m saying that the concerns you raised in your post are all less important to me (and to most shark advocates) then sharks’ ecological importance is. You see, that’s the beauty of a blog, we don’t have a page limit. And as you know, Science Literacy is the foundation of all good conservation, so those concerns are pretty damn important if we want a well informed public. The mere fact that people are flipping out at the thought that sharks aren’t “perfectly evolved” should be proof enough of that. I’m sorry, I don’t understand what you mean about a page limit? I mean you get to talk about more than one thing, you don’t have to just repeat the exact same thing with every single comment. Yes, scientific misunderstandings are a problem with any conservation movement. I try my best to correct them when I see them (I acknowledged that some of your points were correct, and I have been critical of many shark conservationists in the past), and I try extremely hard not to perpetuate them myself. However, people have a lot of misunderstandings about sharks. Many think that going into the ocean means you are going to be eaten by a shark. Some think that fins grow back once cut off. Most think that fish populations will be better off without sharks eating them. In my limited time with the public, I can only correct a few misconceptions. In the meantime, I continue to vote for politicians who promise to improve our country’s science education. Meanwhile, on the blog you have infinite space to address whatever and however many nuances you like. You didn’t say “other conservation documentaries”, you mentioned me specifically. I assume that you weren’t mentioning Amy, since “sub par at best” is a repost from before she joined us. Requiem is a good scientifically accurate shark conservation documentary. I fail to see the point of arguing the awesomness of sharks except for the fact that we may need to keep the topic alive. Victoria, what are you talking about? Explorative? Deductive? These aren’t usually words that are used to describe fish. Sharks are awesome! My 9 year old daughter even did an educational power point presentation on them – which she proudly told Capt Watson of Sea Shepherd. While her classmates are under the impression that sharks are deadly man-eaters, Adriana knows the truth. Watch the movie, Shark Water.